KEELAN Law likes reading National Geographic, watching Mr Bean and creating spreadsheets on the computer. He likes his cappuccinos half-strength and extra frothy. Most of all, he loves ice-skating. The 19-year-old has severe autism. Until recently, he struggled to communicate his basic needs and desires, even to those closest to him. But three-and-a-half years ago, he donned a pair of ice-skates and his world changed. 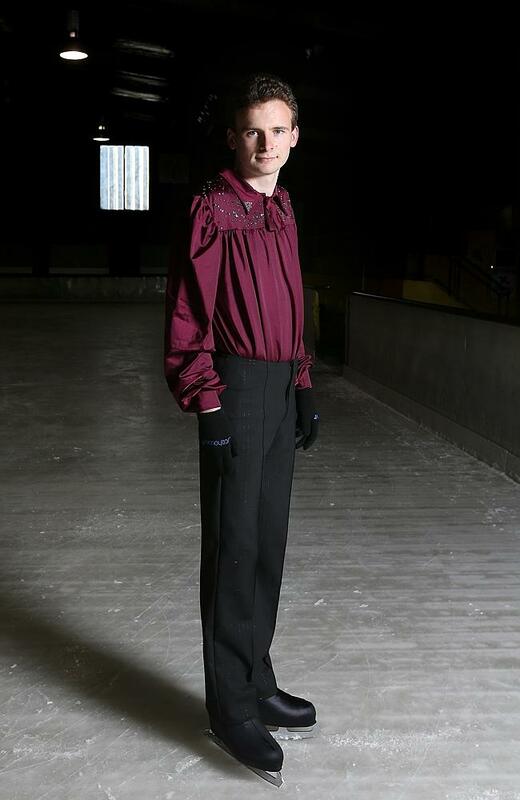 His grandmother Jean Law says figure skating is the key that finally unlocked Law’s personality, his ability to interact with others, his potential. Effectively, his entire future. “When Keelan first went to ice-skating lessons he had his head down, he didn’t say hello to anybody. He had his lesson and came off,” Jean says. Of course, this was no miracle cure for autism. Keelan still suffers from an auditory processing delay that makes it hard to communicate with others. He struggles to cope with so many of the bits and pieces of day-to-day life most teenagers take for granted. But Jean firmly believes the regular physical activity, co-ordination work and thrill of being good at something are “rewiring” Keelan’s brain. “It’s not a rapid change, it’s a change that’s happening steadily and people who meet up with Keelan after not seeing him for a while are astounded by the progress he’s made,” Jean says. When I meet Keelan at a cafe in Glenorchy, Jean and his skating coach Oxana Anichkina do most of the talking. Keelan responds politely but barely audibly to my questions about his recent trips interstate to compete at various skating events. “Don’t you get nervous in front of all those people?”, I ask. Keelan shakes his head. “I feel excited,” he says. In response to some gentle probing by his coach Keelan reveals he has just passed the preliminary test that will allow him to compete at a seniors level against other men. Anichkina is impressed by the progress Keelan has made despite only taking up the sport at the age of 15. His target now is next year’s Hollins Trophy in Sydney, which is the oldest figure skating competition in Australia. A week later I see Keelan on the ice. The transformation Jean described is evident as he skates swiftly around the indoor rink at Glenorchy. His face, usually hard to read, is full of proud determination as he moves gracefully into a series of smooth, fluid spins. Jean and her husband Roger are throwing everything at ice-skating now they have discovered the one thing that can bring their grandson some way out of his shell. They feel they are racing against time to develop Keelan’s independence. The couple has cared for Keelan since he was hospitalised at age six after suffering an emotional breakdown. His mother and siblings, who also have special needs, live in a rural area with poor access to services. “Quite frequently it’s grandparents who take on the responsibility of autistic children,” Jean says. “If we’re not around they end up either totally isolated and unable to cope, or in group homes, which don’t help them at all. I can’t imagine Keelan surviving in a group-home environment. Keelan is doing Year 12 part-time at Hobart’s Elizabeth College, where he is free to use the library to complete his computing coursework in his own time, in his own style. Jean imagines he could one day get a job involving computers, as long as he can find a supportive workplace. For now, Keelan says he just wants to ice-skate. As Jean talks me through his intensive training schedule, the magnitude of the sacrifices she and Roger have made for their grandson becomes evident. They have taken out a reverse mortgage on their home to pay for his coaching, outfits, interstate travel and all the associated yoga and gymnastics classes. “You have no idea of the amount of reward we get from what he does,” Jean says. “We were told when he was six he would do nothing with his life and yet he continues to progress. A study by the Murdoch Children’s Research Institute, released in August, confirms the number of diagnosed autism cases is on the rise in Australia. But researchers say the jury is still out on whether autism is becoming more prevalent or if it is a matter of increased diagnosis. 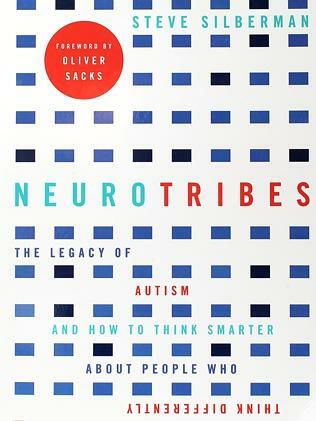 The cover of Neuro Tribes, by Steve Silberman. The study, which tracked 10,000 children, found 2.5 per cent of the four and five-year-olds had an autism spectrum condition, compared with 1.5 per cent of the 10 and 11-year-olds. More than 80 per cent of the children diagnosed with autism were boys. In his new book NeuroTribes, American author Steve Silberman says fears of a growing global autism epidemic are unfounded, as little research has been done into the prevalence among adults. He argues that instead of focusing on causes and cures, society should accept autism as a form of “neurodiversity” – simply a different way of thinking and being. “A cure for the most disabling aspects of autism will never be found in a pill, but in supportive communities,” Silberman writes. Based in Brisbane, the Co-operative Research Centre for Living with Autism Spectrum Disorders (Autism CRC) is embarking on new studies designed to improve the lives of adults with autism. “Children grow up and people spend more of their lives as adults than they do as children,” the centre’s research director Sylvia Rodger says. The researchers are recruiting school leavers with autism, of which there are an estimated 2500 to 3000 in Australia in any given year, to be part of a longitudinal study to show how the students fare post-school, what their needs are, what services they access. The study is pertinent in Tasmania where a three-year National Disability Insurance Scheme (NDIS) trial for 15 to 24-year-olds is under way. Jean and Roger are grateful for the funding Keelan receives for four hours of respite care each week under the NDIS, but are frustrated by the limited nature of services he can access under the scheme. A spokeswoman for the National Disability Insurance Agency says the scheme “provides support to individuals to access reasonable and necessary supports” which are “tailored to an individual’s needs” but Jean says that notion of self-determination is not happening in Tasmania. “We know with Keelan the amount of intense physical activity he does is helping to rewire his brain, but that’s not covered by the NDIS,” Jean says. Lisa Risby is the mother of 21-year-old James, who has autism and lives at home. He works at his local Woolworths in Hobart putting away the trolleys, a job well-suited to his love of creating order. Lisa describes this as a “watershed year”. For the first time, her son is no longer involved in structured education, having finished high school and TAFE. “I really panicked at the start of the year because there wasn’t that structure of education around him,” Lisa says. Like Jean and Roger, her main focus is getting her son ready for independent living. A common saying among researchers and carers of people with autism is, “If you meet one person with autism, you’ve only met one person with autism”, so diverse are the characteristics and capabilities of people across the autism spectrum. Lisa says her son James tends to “fall between the gaps” because he lacks the genius tendencies of some with high-functioning autism but is more capable than many at the more severe end of the spectrum. “A lot of people are in the middle, where they’re not capable of attending university, but they’re more capable than just being in supported employment,” she says. While Lisa laments the end of her son’s school career, another single mum Linda Cantwell cannot wait for her 16-year-old son to be free from the education system, which she sometimes views as a form of torture for children with autism. “In an ideal world, every school should have the resources to cater for every student’s needs. But I think we’re at a point now where the schools can’t cope with that,” Linda says. Linda shares traumatic tales of her son’s early childhood in various schools in Melbourne and Tasmania, including being left alone in the playground with a broken arm and another occasion when a staff member gave him Ritalin, a drug used to treat hyperactive children, without her permission. The contrast in Lisa’s and Linda’s experiences with their sons’ education are echoed in many of the 281 submissions made to a Senate inquiry into levels of support in schools for students with disabilities. “A quality education experience for a student with disability is still likened to winning the lottery,” the advocacy group Children with Disability Australia wrote. Carolyn Rennie, an autism consultant working with Tasmania’s Education Department, says schools and the wider community have come a long way in their understanding of autism. “In decades gone by, people with autism were quite typically viewed only in terms of their behaviours without there being any understanding of the underlying issues that result in such behaviours,” she says. She says all teachers are required to complete online learning about the Disability Discrimination Act and specific autism-focused online modules are also available. The US web-based applied behaviour analysis program Rethink Autism, which can be used in classrooms and at home, is available at some schools, as per the Tasmanian Liberals’ election promise. On the night of last month’s Liberal Party leadership spill, 16-year-old Liam Nicholson was glued to the television screen. He is fascinated by politics, purely for its comedy value. Diagnosed with autism when he was three, Liam tends to respond initially to strangers, including me, with single-word answers. As we sit across the kitchen table from each other, he hides his face behind clasped hands and avoids eye contact. But when I mention the Tony Abbott onion incident, Liam lets his guard down. “That was hilarious. I thought, ‘Serves you right’,” Liam says, grinning at the memory of news footage of the former prime minister taking a bite of a raw, unpeeled onion during a visit to Tasmania. Liam is hooked on the ABC’s live broadcasts of Question Time from Parliament House. It was indeed during Kevin Rudd’s first term as prime minister that his then-deputy Julia Gillard called Liberal MP Christopher Pyne “mincing” and a “poodle”. Liam’s parents Linda and Bill Nicholson are bemused by their son’s obsession with the nightly news. “I don’t understand politics at all,” Linda says. Bill recalls the time Liam spent an entire primary-school art class reading a newspaper that had been taped to the table for a painting session. Despite his rather mature interests, Liam’s parents are concerned about his ability to cope once he reaches adulthood. He may have been reading the newspaper since grade two but Liam cannot properly use the home phone and has never caught a bus by himself. He can prepare a basic meal as long as it can be put straight under the grill – chicken nuggets, fish fingers, toast and muffins are about the extent of his repertoire. If a positive education experience is like winning the lottery, Liam seems to have hit the jackpot in terms of awareness and tolerance. But his love of school belies the difficulties the Nicholsons have endured over the years to get him adequate support. Liam’s schoolmates, many of whom have known him since kindergarten, are accepting of his foibles. “Most of the students know him really well and know he’s just a bit different,” Linda says. His old primary school in Clarendon Vale missed out on extra funding when Liam did not qualify for the severe disability register. “The school used their own money to put on an aide for two-and-a-half hours a week,” Linda says. In later primary school years, he was able to “share” another student’s aide time. Now in Year 10 at Rokeby High School, Liam will go to Rosny College next year. He has never had a part-time job and, after the Tasmanian Government sacked career planners from state schools, it is mostly up to him and his family to organise work experience. “The school does an excellent job with the resources they have,” Bill says. Bill is frustrated by his lack of work and social networks, so consumed has the family been by Liam’s autism and its associated behaviours. Bill had to give up work when the pressures of caring for Liam and his younger brother Callum became too much for Linda, who suffers depression and suspects she too is on the autism spectrum. “Bill had a job where his hours kept changing and I couldn’t cope,” she says. Although Linda is saddened by the lack of affection Liam displays – like many people with autism, he does not like being touched – she would not take away his autism if she could. Tasmania’s three-year NDIS trial is in its second year, with more than 920 Tasmanians aged 15 to 24 receiving funding for support services. Autism Tasmania chief Terry Burke says 30 per cent of those clients are on the autism spectrum. 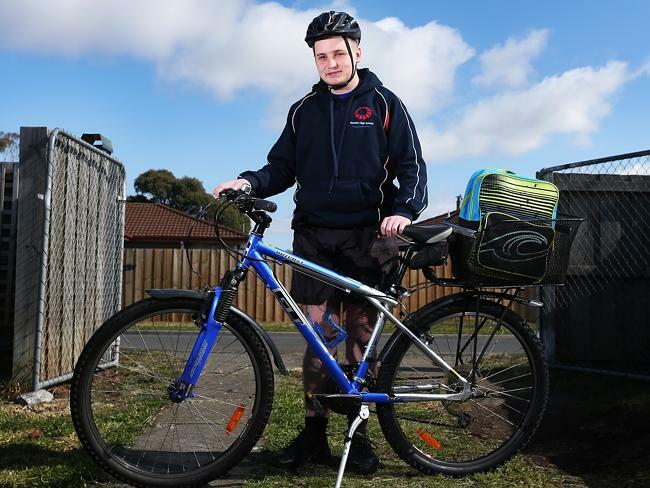 As part of the NDIS, some Tasmanian schools are trialling a new transition-to-work program for students with a disability. Robin Rhodes works for WISE Employment, one of the agencies tasked with helping young people find work under the NDIS. He says clients with autism are 90 per cent more likely to land a job if they get the chance to do work experience. “Participants on the spectrum don’t necessarily interview very well, so unpaid work experience is a great tool to demonstrate their skills and abilities,” Rhodes says. Business manager Jessica Welch says WISE extols the benefits of hiring people with autism, who are often highly valued for their fastidious attention to detail and reliability. “One of the things we encourage employers to do is look at their capacity in terms of their tasks rather than focusing on their ability to join in banter in the tea room,” Welch says. The Human Services Department has established Australia’s first traineeships for people with autism, based on the Danish organisation Specialist People Foundation, which focuses on the abilities, rather than disabilities, of people on the spectrum. The trainees are working in an information and communications technology hubs in Adelaide and Canberra, testing the department’s online services for glitches. Researchers at the Autism CRC are also working to address the high rates of unemployment and underemployment among Australians with autism by developing a job-matching tool and identifying key factors that can make or break a person’s experience in the workplace. “It might just mean a few extra supports that can make a difference between someone functioning in a workplace and not functioning,” Professor Rodger says. New workplace fads such as “hot-desking” are often hard for people on the spectrum to cope with. “Open-plan offices can be really challenging, employees with autism may need a quiet nook in the corner or their own office,” Prof Rodger says. Similarly, architect Ceridwen Owen believes many people with autism drop out of university because campuses are poorly designed for students on the spectrum. “Sometimes the problem is over-visual stimulation,” she says. Owen is the acting head of Architecture and Design at the University of Tasmania. 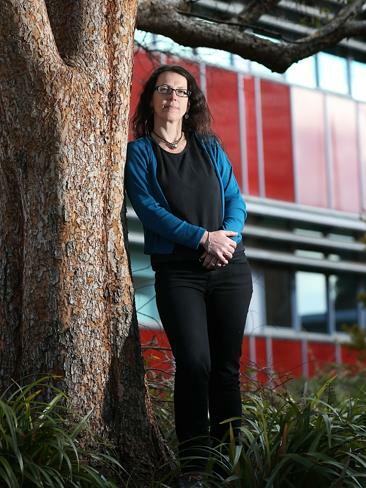 She is leading a new research project aimed at making Australia’s universities more compatible with people on the spectrum. A video diary project is tracking students’ experiences. Failing to support people with extreme sensory sensitivities in universities is akin to “putting someone at the bottom of a staircase in a wheelchair and saying ‘get up there’,” Owen says. In NeuroTribes, Silberman envisages a truly inclusive society where all forms of neuro-diversity are accommodated. “The process of building a world suited to the needs and special abilities of all kinds of minds is just starting,” Silberman writes. On Saturdays, a group of teenagers and young adults congregates in an empty health service consulting room in the eastern Hobart suburb of Bellerive. They come armed with laptops, usually with their parents in tow, to socialise with each other in the way that suits them best – via their computers. Linda Cantwell set up The Lab last year to give her 16-year-old son and others on the autism spectrum the chance to socialise in a “non-threatening and non-judgmental way”. Cantwell is trying to source sponsorship to secure a permanent base with desks and chairs so The Lab does not have to be set up and dismantled each day. Entry is free but next year she may look at setting up a sustainable model that involves a small fee per session. The idea is reminiscent of Kirsha Kaechele’s plans for a cyber-hacking school in Glenorchy. Kaechele, wife of MONA owner David Walsh, told TasWeekend last year her dream was to build a “James Bond-style institute for teenagers on the autism spectrum”. Walsh, who has made his millions through complex gambling systems, believes he has a mild form of autism.